WASHINGTON — Parents may be familiar with the challenge of getting their kids to eat healthy, but imagine getting up to 150,000 kids to eat what’s on their plates. That’s what some Maryland school systems are tasked with every day, and a Maryland organization has rated the state’s school systems on their offerings. The findings from Healthy School Food Maryland: Howard County comes out on top, earning an A+ for promoting fresh food that’s popular — a school spokesman says the kids come back for seconds. Frederick County was ranked third with a B+, and Montgomery and Prince George’s counties came in at the middle of the pack with Cs. Lindsay Parsons, coordinator of the Healthy School Food Maryland coalition, says Howard County’s schools have made sure that kids from elementary through high schools have salad bars that include fresh fruits and vegetables. “They also have a very strong policy keeping soda out of vending machines at all hours,” she said. Parsons explains other school systems, such as Montgomery County, turn off vending machines that sell soda during the school day. But at a certain period after the end of the school day, the machines are turned on, and kids staying for extracurricular activities or attending after-school events can access sugary drinks. 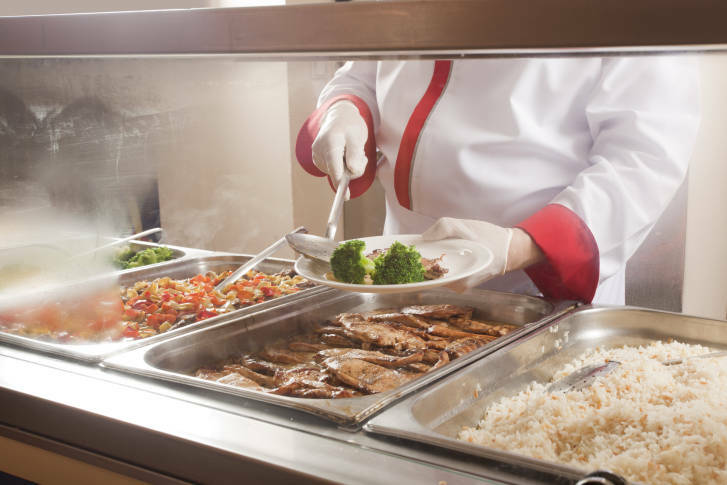 John White, spokesman for the Howard County school system, says schools have made a concerted effort to provide healthy food, “but also choices that students like.” White says the food service division has frequent taste tests by the toughest food critics: the kids themselves. “When you’re asking students whether they like something that you’re developing in advance, you can learn what their tastes are,” he said. White says a Horizon Foundation grant helped get the fresh vegetable and fruit salad bars established. Take a look at the complete ratings and scoring.